Budget revenues of the State Oil Fund of the Republic of Azerbaijan (SOFAZ) for the period of January-September, 2018 reached 14 437.2 million manats, while budget expenditures constituted 8 005.9 million manats. Revenue of 13 441.6 million manats was received from implementation of oil and gas agreements, including 12 658.1 mln. manats from the sale of profit oil and gas, 765.2 million manats as bonus payments, 4.1 million manats as acreage fee and 14.2 million manats as transit payments. The revenues from managing assets of SOFAZ for January-September, 2018 amounted to 995.6 million manats. As per SOFAZ’s 2018 budget, 7 788.0 million manats were transferred to the state budget. The expenditures in the amount of 138.6 million manats were directed to financing the improvement of social-economic condition of refugees and internally displaced persons, 41.7 million manats were used for financing the reconstruction of the Samur-Absheron irrigation system. 16.7 million manats were directed to financing Baku-Tbilisi-Kars railway construction and 5.0 million manats were directed to financing "The state program on the education of Azerbaijani youth abroad in the years 2007-2015". SOFAZ’s administrative and operational expenses for the reporting period were 15.9 million manats. 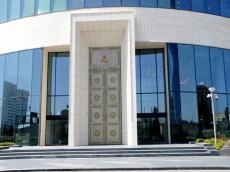 The Fund's extra-budgetary expenditures related to the revaluation of foreign exchange totalled 968.7 million manats. The assets of SOFAZ as of October 1, 2018 have increased by 8.88% compared to the beginning of 2018 (USD 35 806.5 million) and stood at USD 38 987.7 million. The increase was mainly due to SOFAZ budget revenues and asset management activity.